This report, however, includes unseen images and screenshots of Macina brigade high quality video after Nampala attack. 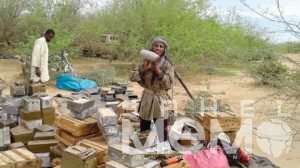 For the first time Sahel MeMo is providing pictures of Macina fighters and important amount of weapons seized from Malian Army in Nampala July 19th. Very good job sahel mémo. You keep us informed about the situation in the sahel .